Carrier vibrating fluid bed thermal dryers are typically used for coals with a larger size fraction, such as run-of-mine coal. 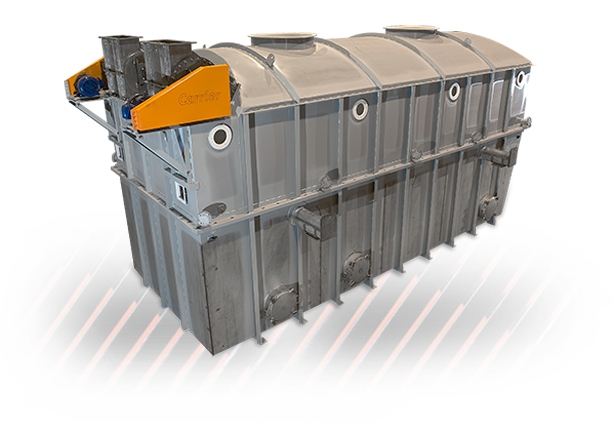 Our vibrating fluid bed units are available in sizes up to 8 ft. wide x 50 ft. long with capacities up to 250 TPH in a single unit, depending on the thermal load. Carrier coal dryers utilize vibration which significantly assists in the fluidization of sticky and wet coals, and helps convey larger particles that may not fluidize well or tend to settle to the bottom of the coal dryer bed. Coal dryer systems that dry only. Systems that dry and cool. Coal dryers that re-circulate the cooling zone exhaust gas to the drying zone supply for improved efficiency. 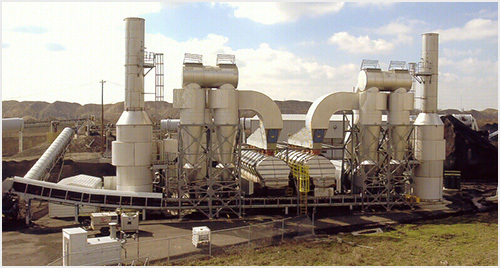 Coal drying systems with closed-loop re-circulated process gas streams that are heated with a direct-fired process gas heater. Systems with closed-loop re-circulated process gas streams that are heated with indirect heat. Systems with re-circulated self-inerted process gas streams heated by direct-fired process gas heaters. Systems with recirculated indirect heated inert process gas streams, such as nitrogen, with in-bed heat exchangers. For more information on Carrier coal drying systems, refer to brochure #16909.